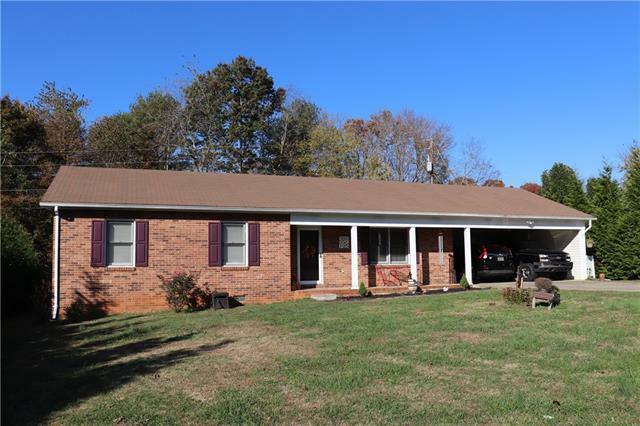 Welcome Home to this Brick Ranch with enclosed double carport on a level lot with privacy trees, located in Hudson. Beautiful serene screened porch addition in 2017. 3 Bedrooms and 2 Baths with wood floors throughout the spacious living room, hallway and all 3 bedrooms. Master bedroom with two closets. New black stainless steel range and refrigerator in August 2018. New flooring in the kitchen in 2017. Water heater installed in 2016. Two storage buildings in the backyard; the 10 x 12 storage building with metal roof is 2 years old. New front and storm doors and back door leading to the screened porch. Schedule to see this lovely home today!!! Sold by Prime Properties Group, Llc.